iOS developer and tinkerer Hamza Sood has been poking around in the new 4th beta version of iOS 7 and has discovered references to fingerprint recognition. This could indicate that Apple plans to support such biometric ID measures in the next version of its iPhone, though evidence of new features sometimes appears in beta software long before it makes an appearance in an Apple product. We have previously heard from sources that a fingerprint ID unit could make an appearance in a new iPhone. It would be enabled by tech purchased by Apple in its acquisition of Authentec. 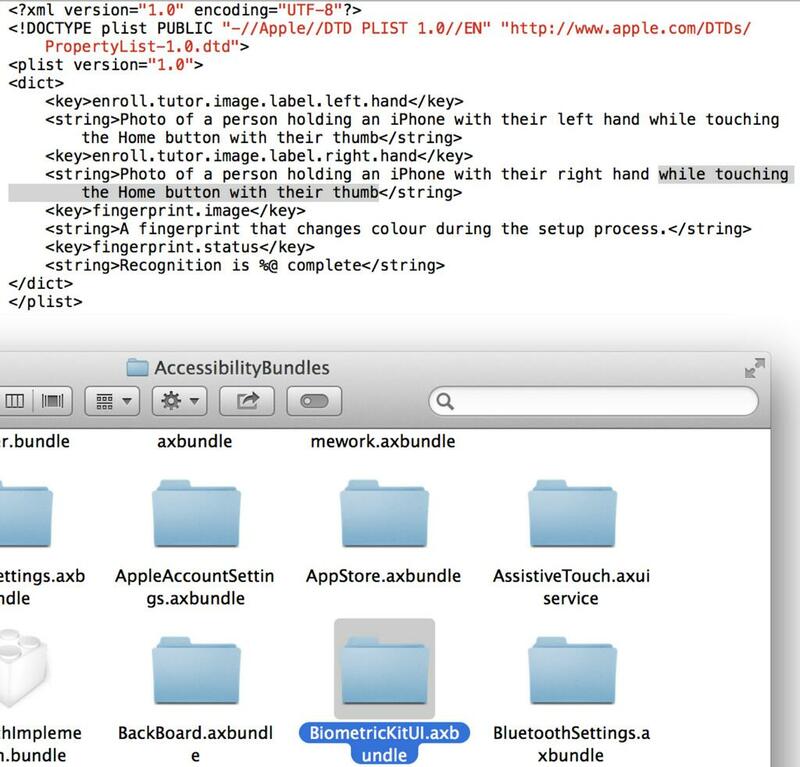 Sood discovered a bundle inside the Accessibility section of iOS that contains references to tutorial images explaining exactly how to identify a user by their fingerprint. The description has a thumb placed on the home button of a device and a string that indicates ‘Recognition is complete’. Authentec’s hardware can be used to read fingerprints for secure payments, and authentication that works in concert with other information for security purposes. But biometrics is a field fraught with pitfalls when it comes to high-security uses. It’s simply too finicky and easy to circumvent if it’s used alone. So there’s likely going to be a bit of work before it’s in common use as part of a payment or secure login flow on a portable device. However, there is another major arena where a fingerprint sensor could fix a major issue: identifying different users of a single iOS device, and automatically loading their profile. Because of the somewhat unreliable nature of biometric IDs, it is likely that we’d see it paired with other methods like security pins as an added layer of protection, rather than the sole means of identification for a user of an iOS device. There are just too many ways to fool these kinds of systems to rely on them alone to protect a device. But as an added measure, it would act as a sort of ‘additional factor’ of ID, which couldn’t hurt. We’re still pretty interested in how it might improve the situation surrounding multiple household members accessing the same iPad though.